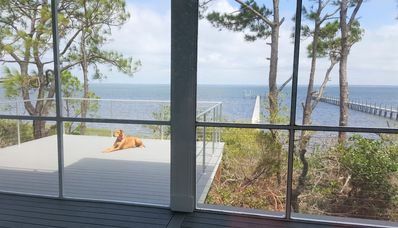 3 BR/3.5 BA, DOG FRIENDLY, GULF VIEWS FROM EVERY ROOM! 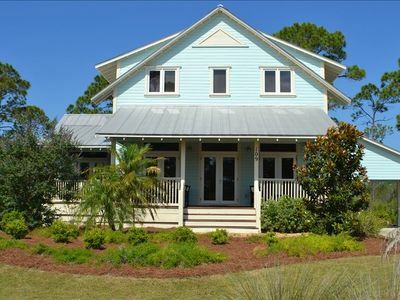 Ya'sYa's Dream is a 3 Bedroom, 3.5 Bath gulf front townhome located in Barrier Dunes on Cape San Blas, Florida. 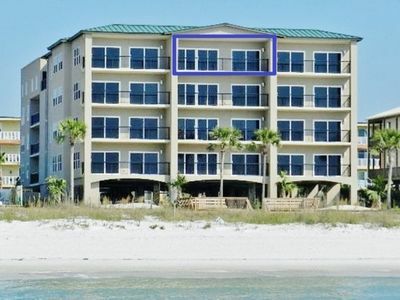 Due to its unique location, this townhome has impressive gulf views from every level. 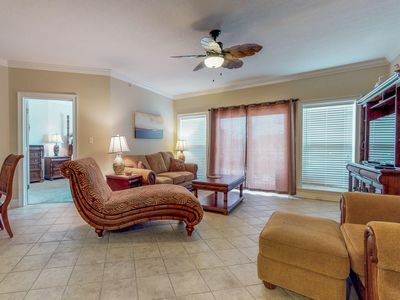 The living room, dining area, kitchen, half bath and open deck are located on the first level. 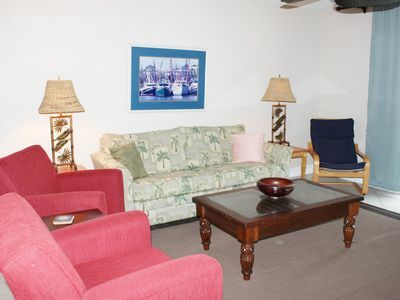 The living area has comfortable décor, flat screen TV , laminate flooring, sofa and loveseat. 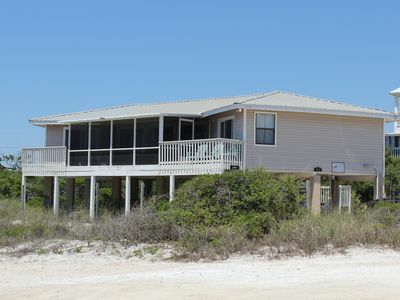 Just off the living room is the open deck with a gas grill, outdoor table and chairs and exit that leads to boardwalk that takes you directly to the beach! 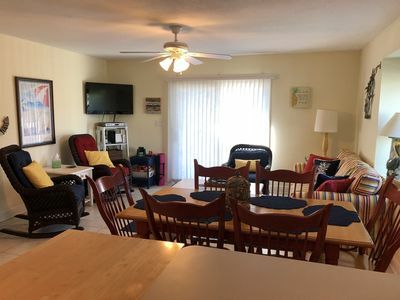 The recently updated kitchen has stainless steel appliances and is well stocked with everything you'll need to feel right at home! 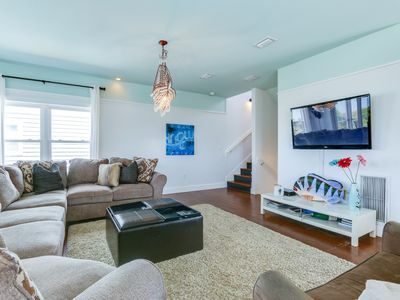 As you head to the second level you will find two of the three bedrooms both with en suite bathrooms. 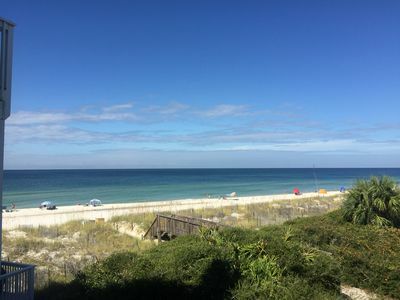 Both rooms are decorated in the inviting coastal casual color scheme, have queen beds, flat screen TV's and have wonderful views of the beach and gulf from each deck. 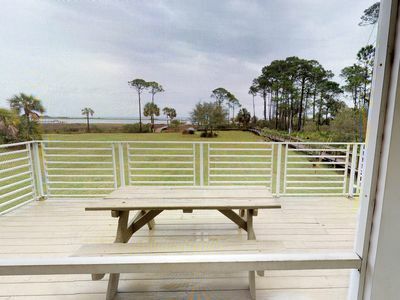 You will also find seating available on each balcony so that you can enjoy your own spectacular view. 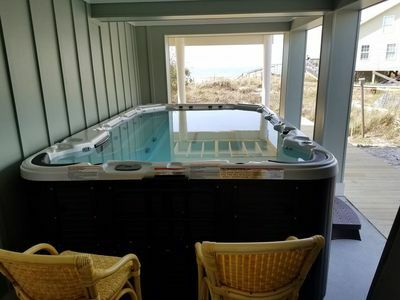 The third level is the master suite. 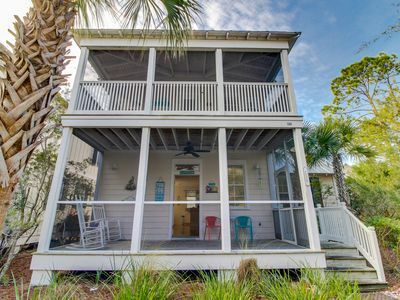 With it's king bed, flat screen TV, garden tub and spacious balcony you may find you never want to leave your little slice of paradise. The master suite and bathroom are truly designed for maximum comfort and relaxation. 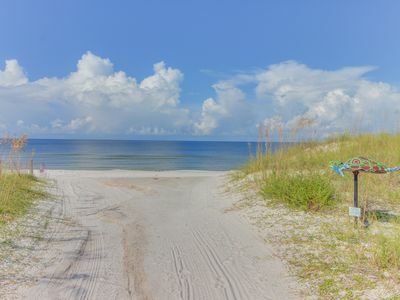 Everything you want from you perfect beach vacation! 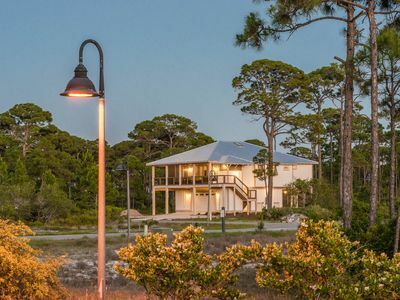 Barrier Dunes, the gated community where YaYa's Dream is located, is a premier destination for anyone traveling to Cape San Blas. 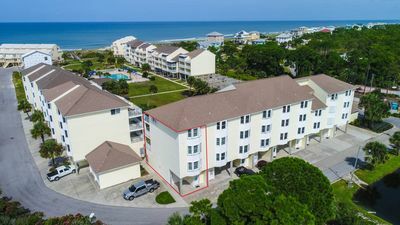 With our dog friendly beaches, well lit paved streets, boardwalks, tennis courts and two swimming pools there is something for every member of the family to do while you're here. 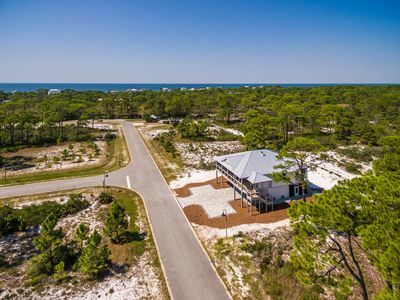 Barrier Dunes is located just outside of the St. Joesph State Park which is every nature lover's dream. 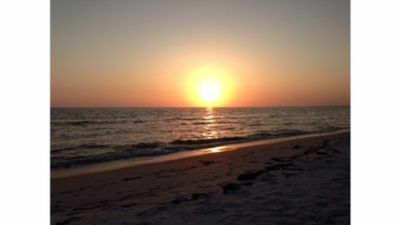 For a complete list of all of our properties please visit www.capebeachvacations.com. 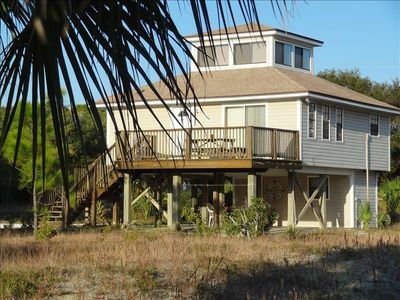 3/23-3/30 deep discount Inquire Bay Views/Beach access from this high end home. 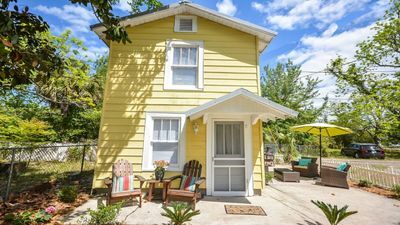 The Gypsy Cottage is located in the heart of St. Joe. 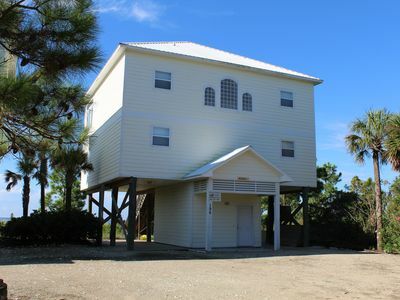 Gulf Side TownHome With Elevator!! 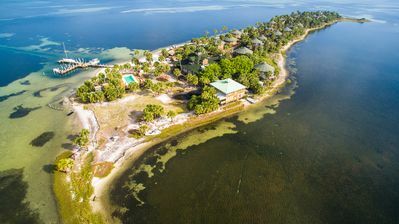 25% OFF FALL RATES!! !